Dubsmash a video selfie app, made the whole world strangling around it after its launch in November 2014. Within a period 6 months of its launch, the app has actually been downloaded by more than 10 million individuals on Google Play. If we count other platforms too, overall user-base of the app comes out to be 20 million users. The app has actually ended up being rage in masses. If you have no idea the best ways to utilize Dubsmash yet? Worry not. Right here is a step by step tutorial to aid you comprehend this app so that you can utilize it too. Dubsmash is essentially a video selfie app that lets users produce videos of themselves while syncing their lips motion with sound called from any well-known film, quote, tune lyrics, and so on. All you need to do is to pick a sound or voice from the large library and begin recording your very own funny dubbed selfie. When you are done, you can download the clip on your smartphone or can share on WhatsApp or Facebook. Dubsmash is available for bot the biggest mobile platforms that is iOS and Android and you can download them for free, but there are few things like a dubsmash logo will be added to the videos you can create and you will be also be greeted with some advertisements in this free version. You can download for your appropriate mobile using the links on the right. 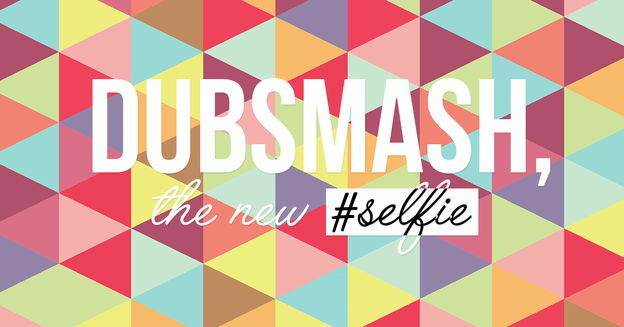 Now lets get started on how you can create your first dubsmash selfie video and share with all your friends. After you have installed the Dubsmash application. You have to choose the language in which you want all the sounds and voices. If you are are from India, choose Hindi, so that you can get all those funny Indian dialogues that you can use to create your own dubbed selfie. Now you will see trending sounds that you can play before you actually create a selfie, so hear that first. After that if you like that sound, you can press on that sound and front facing will POP UP with a start button. (You can even switch to rear camera). Now as soon as you hit the start button, voice or sound will start playing and you have to Sync your lips accordingly. No problem if first time you were not accurate as it might take some time for you to practice and get your lips synced properly, so keep on practicing with other sounds. Yes OnHax posted a modded android application for dubsmash that they claim does not contain any advertisement or logo, and they have even improved many things in it you can check that out too, but I would recommend that you stick with official app, in case you wanna give it a try you can check it here. I was searching on YouTube about dubsmash and found some funny selfies created by people all over the world, well I found a nice Indian video that you can check on how creative you can bee using dubsmash application.